Gangtok, Sikkim: Namgyal Institute of Tibetology, 1973 Gangtok, Sikkim: Namgyal Institute of Tibetology, 1973 65 pp. Text is clean, tight and unmarked. 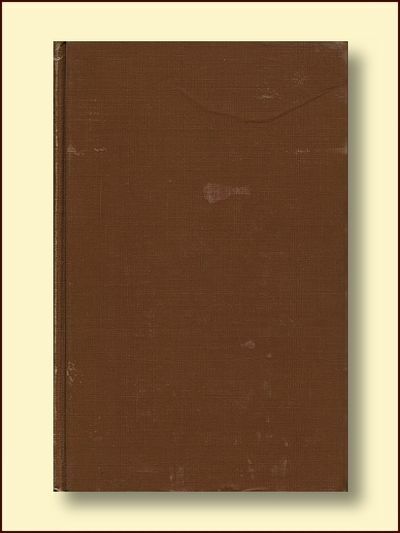 Grey paper covers have a gift inscription on front, and partial split at head of spine. Stapled Softcover. Very Good. Journal.. Paperback. Very Good. Indiana University Prtess, 1975 Reprinted from Oriens Extremus Vol 22 No. 2 1975. Bound pamphlet. Text is clean, tight and unmarked. Covers have a little edgewear.. Stapled Soft Cover. Very Good. 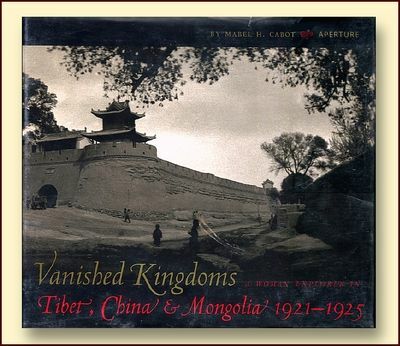 Hong Kong: Forbidden City Publishing House, 1998 Hong Kong: Forbidden City Publishing House, 1998 279 pp with color illustrations on every page. Text in Mandarin. A lavishly produced record of Tibetan art collected during the late 19th- early 20th century. Text is clean, tight and unmarked. Red cloth boards are clean, bright, undamaged. DJ is bright and intact. Now with protective mylar wrapper. Hardcover. Fine/Fine. 4to - over 9¾" - 12" tall.. Hardcover. Fine/Fine. Dust jacket present. Indiana University Press, 1979 Indiana University Press, 1979 pp 297 -313. reprinted from Journal of the American Oriental Society 99.2 1979. Bound pamphlet. Text is clean, tight and unmarked. Covers have a little edgewear. Stapled Soft Cover. Very Good.. Hardcover. Very Good. China: China Intercontinental Press, 2003 203 pp. with color illustrations on every page. Text is clean, tight and unmarked. Covers are bright and undamaged.. Soft Cover. Near Fine. 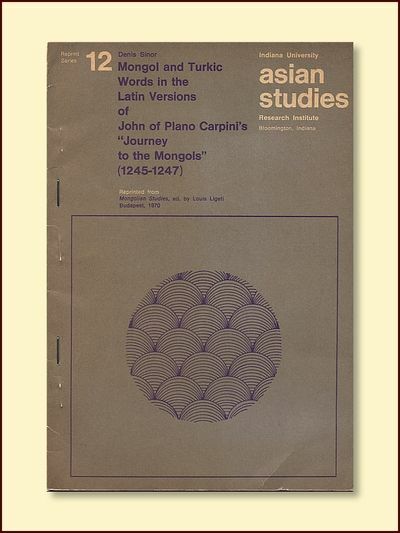 The Asia Society, 1979 A compilation of Tibetan teachers, Dharma centers, related orginizations, academic institutions offering Tibetan courses, collections of Tibetan art, Tibet book & manuscript collections, films and recordings pertaining to the Himalayan region. Text is typed and mimeographed. Clean, tight and unmarked. Folio - over 12" - 15" tall. Stapled Soft Cover. Fine/No Jacket. Folio - over 12" - 15" tall. Privately Printed. Wilmington, Massachusetts, U.S.A.: Houghton Mifflin Co., 2002 433 pp. 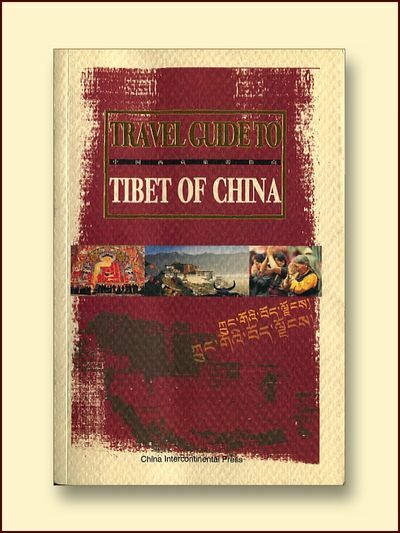 Set on the Tibet-Sichuan border in the 1930's as the rival feudal kingdoms of a semi-mediaval Tibet began to confront the modern world. 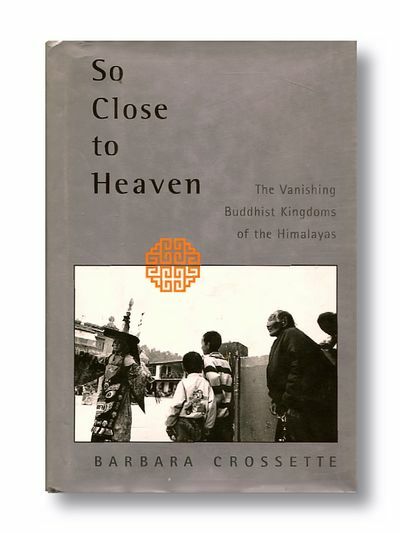 An extraordinary novel through the eyes of a Tibetan author. Clean, tight and unmarked. Jacket is bright and intact with slight rubbing on the back. Not price clipped or remaindered. Size: 8vo - over 7¾" - 9¾" tall. 1st Edition.. Hard Cover. As New/As New. Dust jacket present. First Edition. New Delhi: Manjusri Publishing, 1973 New Delhi: Manjusri Publishing, 1973 A reprint of the 1834 edition in Limited Edition form. Text clean, tight, unmarked. Binding embossed red cloth with gold letters in fine+ condition. DJ is scuffed, torn and has moisture stain along spine. Oversized. 4to - over 9¾" - 12" tall. Limited. Hard Cover. Very Good/Good. 4to - over 9¾" - 12" tall.. Limited.. Hardcover. Very Good/Good. Dust jacket present. London: Andre Deutsch, 1982 London: Andre Deutsch, 1982 A history of the western explorers who searched Western Tibet for Mount Kailas, believed by both Hindus and Buddhists to be the home of the gods and the navel of the world, and the sources of the Indus and Sutlej and Tsangpo-Brahmaputra Rivers of India, and also the Tibet Assam border regions for the route of the Tsango through the deepest river gorges on earth. Allan also weighs in on the expedition acounts of Norwegian explorer Sven Hedin. For a 28 year-old book, this book appears as if brand new. 8vo - over 7¾" - 9¾" tall. First Edition. Hard Cover. Fine/Fine. 8vo - over 7¾" - 9¾" tall.. First Edition.. Hardcover. Fine/Fine. Dust jacket present. First Edition. 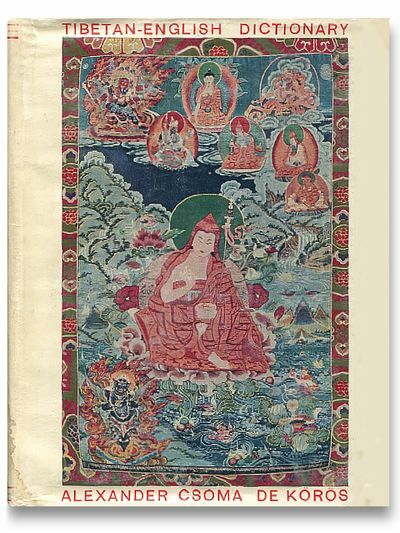 Dover Publications, 1977 224 pages plus 5 pages of Tibetan text and an extensive catalog of Dover publications. 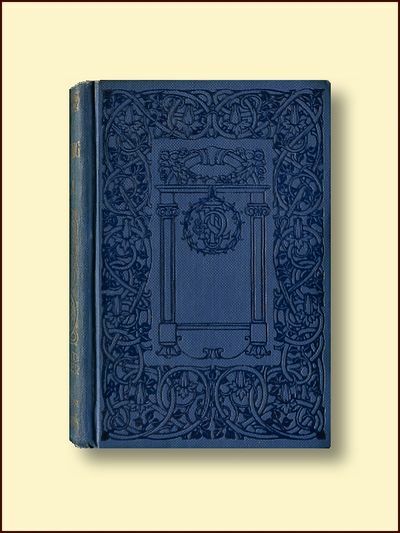 This Dover edition is a replication of the second edition of the work originally published by The Bengal Secretariat Book Depot, Calcutta 1919. It contains the grammer only. Text is clean and unmarked. Cover is cracked at front hinge but holding tight, soiled and scuffed but intact. Owner's name on flyleaf. Size: 8vo - over 7¾" - 9¾" tall. Trade Paperback. Good/No Jacket as Published. Dust jacket present. Macmillan, 1950 Macmillan, 1950 239 pp with 12 B&W plates. 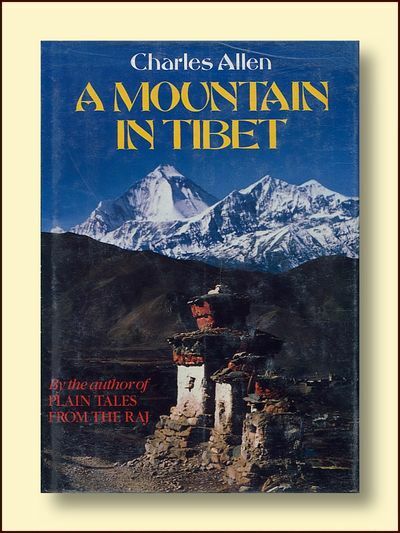 The author traveled through India, Tibet and the Far East shortly after WWII. Text is clean, tight and unmarked. grey cloth boards are clean, bumped at extremities,.DJ Is intact with some edgewear. Now in protective mylar. Hard Cover. Very Good/Good.. Hardcover. Very Good/Good. Dust jacket present. Aperture, 2003 Aperture, 2003 190 pp with B&W photos on every page. Text is clean, tight and unmarked. Black boards have very slight bumping to extremities. Dust jacket has two short closed tears, else intact and clean. In mylar wrapper. First Edition. Hard Cover. Fine/Very Good.. First Edition.. Hardcover. Fine/Very Good. Dust jacket present. First Edition. New York: Facts on File, 1984 New York: Facts on File, 1984 248 pp with B&W and color illustrations drawn from the archives of the Royal Geographic Society. 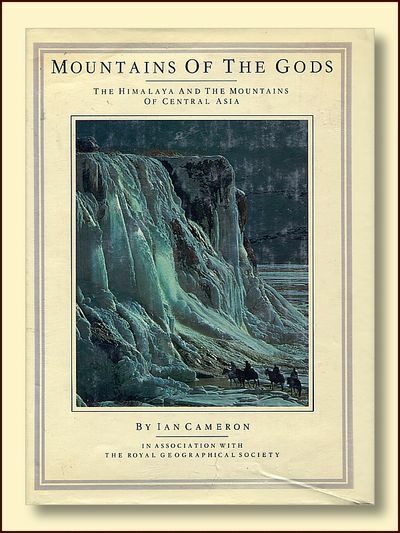 Both the geological and human history of the Central Asia ranges. Text is clean, tight and unmarked. Maroon buckram boards are "as new". DJ is bright and intact with very slight shelfwear. Hard Cover. Fine/Very Good +.. Hardcover. Fine/Very Good +. Dust jacket present. Princeton University Press, 1951 186 pp Tex is clean and tight, underlining or marginalia on six pages. Not very obtrusive. Binding is sound, tan cloth boards are rubbed, a few library stamps within. A good, sound reading copy.. 1st Edition.. Hardcover. Fair/No Jacket. Ex-Library. First Edition. Thomas Nelson & Sons, 1905 Thomas Nelson & Sons, 1905 375 pp + 8 PP of advertisements for Nelson's Popular Editions titles, With 7 B&W plates and portrait of Sir Francis Younghusband frontis. Edmund Candler (1874 - 1926) was a correspondant for the Daily Mail who accompanied the Younghusband expedition to Lhasa in 1903 -4 whose putative aim was to settle disputes over the Sikkim-Tibet border; the expedition controversially became (by exceeding instructions from London) a de facto invasion of Tibet. His account of the difficulties and successes of the journey is considerably more chatty than most accounts of British military expeditions.Text is clean, tight and unmarked, Endpapers have a contemporary owner's signature and date and some glue-staining. Blue boards with black decorative scrolling are VG, with only slight rubbing to extremities. A Thomas Nelson Pocket Edition. Hard Cover. Very Good/No Jacket. 12mo - over 6¾" - 7¾" tall.. Hardcover. Very Good/No Jacket. London: Hutchinson, 1955 347 pp with two maps and sixteen B&W plates. The author led an expedition to the upper reaches of the Yelllow River in search of a mountain, Amne Machin, reputed to be taller than Everest. Text is clean, tight and unmarked.Dark red cloth boards with blacktitles along spine are clean and undamaged. Dust jacket is price-clipped, bright and whole except for a short closed tear along top edge.. Second Printing. Hard Cover. Very Good/Very Good. Dust jacket present. Washington, D.C.: Counterpoint, 1997 Washington, D.C.: Counterpoint, 1997 392 pp. An account of the search for the fourteeth Dalai Lama with an empathsis on the present Dalai Lama's family and their reactions and support for his elevation. As new, appears unread. With 8 pages of plates of the family. In a sewn binding on acid-fee paper. Beige paper boards with black spine, pictorial dust jacket. With a Brodart mylar jacket cover. Size: 8vo - over 7¾" - 9¾" tall. 2nd Edition. Hard Cover. As New/As New.. 2nd Edition.. Hardcover. As New/As New. Dust jacket present. U.S.A.: Knopf, 1995 297 pp with B&W illustrations in text. Tibet, Sikkim, Ladakh, Bhutan. Text is clean, tight and unmarked. Dust jacket is bright and undamaged save for very slight edgewear. Size: 8vo - over 7¾" - 9¾" tall. Hard Cover. Very Good/Very Good. Dust jacket present. U.S.A.: University of California Press, 1990 164 pp with color photography by the acclaimed nature photographer, Galen Rowell, on every page. Text is clean, tight and unmarked. Red cloth boards with gold-stamped titles are pristine. Dust jacket has edgewear, a closed tear on front. Now in protective mylar. Oversized book. Please inquire about overseas shipping charges before ordering. Size: 13" x 9". Hard Cover. Fine/Good Plus. Illus. by Rowell, Galen. Dust jacket present. Penguin, 1978 320 pp. Text is clean, tight, unmarked, lightly yellowed. Covers are clean and bright, with edgewear.. Mass Market Paperback. Very Good.